In 2006, under the leadership of President Janet Afary, AIS instituted two new awards for Life-Time Achievement in Iranian Studies. The first Life-Time Achievement in Iranian Studies Award for a Scholar Residing and Working Inside Iran was conferred on Professor Emeritus Iraj Afshar. 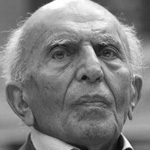 Professor Ehsan Yarshater was chosen to receive the first Life-Time Achievement in Iranian Studies Award for a Scholar Residing and Working Outside of Iran. The Chair of the 2018 Committee is Houchang Chehabi. The deadline for nominations for the 2018 award is March 31st, 2018. The 2018 Lifetime Achievement Award was awarded to the British art historian Robert Hillenbrand. He is Professor Emeritus, University of Edinburgh, a Fellow of the British Academy and of the Royal Society of Edinburgh, and is currently Professor of Art History at the University of St Andrews. Author of ten books, co-author or editor of another twelve, and author of over 170 book chapters and articles in the most prestigious publications, Professor Hillenbrand’s research is informed by rigorous scholarship, his extensive field work and especially his close study of buildings and archeological sites. The 2016 Lifetime Achievement Award was awarded to Bert G. Fragner (b. 1941). Professor Fragner is an Austrian Iranologist. He is director of the Institute of Iranian Studies of the Austrian Academy of Sciences since 2003. He also teaches Iranology at the University of Bamberg. He has made several research trips to Central Asia. On July 16, 2010, Professor Fragner was awarded the Dr. Mahmud Afshar Prize at the Academy of Sciences in Vienna, for helping to promote Persian and Iranian culture and history. For a selection of the awardee's writings consult Bert G. Fragner: Selected Writings. Mimesis International, 2015. The 2014 Lifetime Achievement Award for a Scholar Residing and Working in Iran was awarded to Simin Behbahani (1927-2014). 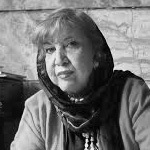 Simin Behbahani began publishing her poetry in the 1950s with her first collection of poems The Broken Setar (in Persian) and Collected Poems (in Persian). Thereafter, she published some sixteen books of poetry in each of the following decades. My Country (in Persian),and I Shall Build You Again (in Persian) were published in 2009. With My Mother: My Autobiography was published in 2011. An English translation of some of her poems, A Cup of Sin appeared in 1999. Ms. Behbahaniwrote for various literary journals and served as an editor and columnist. She worked for the music department of Iran’s National Radio and Television. Ms. Behbahani is recognized for giving new life to the classical form of poetry known as the ghazal. Historically a short lyrical love poem written by a man for a woman, Ms. Behbahani broke with tradition by writing as a female and by writing about modern themes. She has written works on literary criticism, short stories, two life narratives, and a biography of her mother.She has contributed to Persian literature both as a poet and as a scholar. Ms. Behbahani has received numerous Iranian and International awards and prizes both for her poetry and for her promotion of human rights: Farhang Foundation Heritage Award, Bita Prize for Literature and Freedom, Association of Professors & Scholars of Iranian Heritage Distinguished Scholar Award, Norwegian Authors` Union Freedom of Expression Prize, Latifeh Yarshater Book Award, Human Rights Watch/Hellman-Hammet Grant. She received a Nomination for the Nobel Prize in Literature in 1997. The 2014 Lifetime Achievement Award for a Scholar Residing and working outside Iran was awarded to Shaul Shaked (b. 1933), Schwarzmann University Professor (emeritus), Institute of Asian and African Studies, The Hebrew University, Jerusalem. 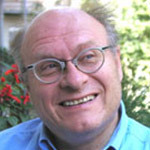 At Hebrew University, Professor Shaked has served in such leadership roles as Chair of Department of Indian, Iranian and Armenian Studies; Comparative Religion, and Institute of Asian and African Studies. He has held visiting posts at numerous institutions in the United States (University of California, Berkeley; Harvard University; New York University and Columbia University); Heidelberg; France (Directeur d’études invité, École Pratique des Hautes Études, Section des Sciences Religieuses, Paris); the Netherlands (Fellow, the Netherlands Institute for Advanced Study in the Humanities and Social Sciences (NIAS); Freie Universität Berlin; and Eötvös Loránd University, Budapest. He is (since 1986) a member of the Israel Academy of Sciences and Humanities. Professor Shaked is the author of numerous articles and some twenty books among them: Wisdom of the Sasanian Sages (1979); Dualism in Transformation: Varieties of Religion in Sasanian Iran (1994); Magische Texte aus der Kairoer Geniza, 3 vols (1994, 1997, 1999); Irano-Judaica: Studies relating to Jewish contacts with Persian culture throughout the ages, III (1994); From Zoroastrian Iran to Islam: Studies in religious history and intercultural contacts (1995) [Persian translation: Tehran: Entešarat-e Qoqnus, 1381 AHS (=2003)]. Awarded in 2012 to Mohammad Hassan Ganji distinguished scholar residing and working in Iran and Gilbert Lazard distinguished scholar residing and working outside of Iran. Members of the Award Committee were Bernard Hourcade, Mansoureh Ettehadieh, Nikki Keddie, and John Perry. Mohammad-Hassan Ganji was the founder of modern geographic studies in Iran. Born in 1912 in Birjand he remained very active among academic circles until his accidental death at the age of 100, and a few days after he was informed he was granted the AIS Lifetime Achievement Award. As a professor of geography at Tehran University from 1938 to 1975, he trained almost all the Iranian geographers and set up most of the Iranian institutions dealing with the knowledge of physical or human geography of Iran. 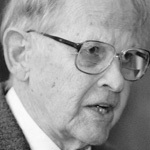 After his Ph.D. from Clark University (Massachusetts, 1954), on aridity in Iran, he published many articles and books about the climate of Iran and its effects on human activities and political geography. He played a great role in promoting in Iran the study of environmental factors on settlement, history, agriculture, and geopolitics through such publications as The Climatic Atlas of Iran in 1967. Among his numerous official positions, he founded and headed the Iranian meteorological department, the University of Birjand, and was also vice-minister of roads (1963-1968). After the Islamic revolution he continued his academic activities and publications, and supported the development of the discipline of geography both in Iran and abroad. 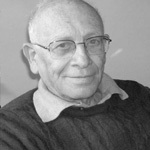 In 1983, Dr. Ganji published a major work about the “History of geography in Iran from Dar ol-Fonun to the Revolution”. The house where he lived for 70 years has been purchased and renovated by the Municipality of Tehran and renamed “Iran Geography House and Museum”. This award is given to commemorate a great scholar, very respected among the Iranian community of geographers. 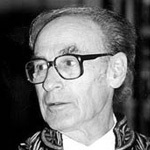 Gilbert Lazard, former professor of Persian language and literature at Sorbonne is the founding father of modern Persian studies in France and also a major scholar in theoretical linguistics. Born in 1920, he was a student when he joined the French Resistance during World War II and was deported to a concentration camp in Germany. After the war he completed his studies in linguistics with Émile Benveniste, was introduced to Iranian studies by Henri Massé and went to Tehran in 1947 as the first research fellow of the new French institute of Iranian studies founded by Henry Corbin. While in Iran, he prepared his doctorate, “La langue des plus anciens monuments de la prose persane” and his famous “Grammar of modern Persian” (translated into English in 1986 and completely revised in 2001). He published the first comprehensive studies on the origins of the Persian language and literature from Khorasan. Lazard was also a very good and renowned translator into French of such major Persian poets as Ferdowsi, Hafez, and Khayyam. Since 1950 Lazard has been the main organiser and leading figure of Persian literature and linguistics in France and Europe. He founded (with Émile Benveniste), the Institute of Iranian Studies of Sorbonne. As professor of Persian at the School of Oriental Languages (Langues ‘O’) for more than 20 years, he introduced to Iranian studies a generation of French scholars, and became in 1969 the first full professor of Persian at Sorbonne, in charge of the Master and Ph.D. programs. At the same time he taught theoretical linguistics, Iranian linguistics and ancient Iranian languages at École Pratique de Hautes Etudes. He founded the journal Studia Iranica, and the European Society of Iranian Studies (Societas Iranologica Europaea). This brilliant academic career was concluded by becoming a member of the Academie de inscriptions et Belles Lettres. Lazard still publishes articles, participates in academic meetings and gives respected advice to younger students and scholars. 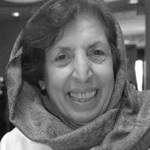 Awarded in 2010 to Jaleh Amouzegar distinguished scholar residing and working in Iran and Richard Nelson Frye distinguished scholar residing and working outside of Iran. Members of the Award Committee were Ahmad Ashraf, Mansoureh Ettehadieh, Homa Katouzian, and Maria Subtelny. Jaleh Amouzegar (b. 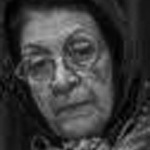 1939) is a distinguished scholar of Ancient Iranian Languages and Culture who has trained many leading students in her field. She completed her Ph.D. thesis on “Studies of Mazdean Language and Literature in Persian” at the Paris-Sorbonne University in 1967. Beginning her career as a researcher at the Iran Cultural Foundation (Bunyad-i Farhang-i Iran) in 1968, Amouzegar became a faculty member of the Department of Literature at the University of Tehran in 1970. She has since been teaching ancient languages, mythology, and ancient Iranian culture and religions at the same institution. She has been honored nationally and internationally for her groundbreaking scholarship. Her research includes ten volumes in Persian (five of which have been written in collaboration with the late Dr. Ahmad Tafazzoli) and nearly a hundred articles in the languages of Persian, English and French. Her recent major work is the translation of the fifth book of the 9th-10th century Dēnkard Encyclopedia into French, Le cinquième livre du Dēnkard: Transcription, traduction et commentaire, Studia Iranica 23, Paris, 2000. Richard Nelson Frye (b. 1920) is a well-known scholar in Central Asian studies who has written many books on Iran. Graduating from Harvard in 1946, he taught at Habibiya College in Kabul (1942-44), Harvard University (1948- 90), Frankfurt University (1959-60), Hamburg University (1968-69), Pahlavi University of Shiraz (1970-76), and University of Tajikistan (1990-92). Professor Frye founded the Center for Middle Eastern Studies at Harvard. He served as Director of the Asia Institute in Shiraz (1970-1975), was on the Board of Trustees of the Pahlavi University at Shiraz (1974-78), and was also Chairman of the Committee on Inner Asian Studies, at Harvard (1983-89), and Editor of the Bulletin of the Asia Institute (1970-1975 and 1987-99). 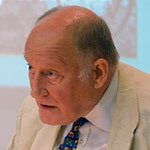 Professor Frye has published numerous works, including: Notes on the Early Coinage of Transoxiana (1949); The United States and Turkey and Iran (with Lewis V. Thomas, 1951); The Near East and the Great Powers (ed., 1951); History of the Nation of Archers (1954); The Heritage of Persia (1962); Bukhara (1965); The Golden Age of Persia (1975); The History of Ancient Iran (1983); and The Heritage of Central Asia (1996). He was also the editor of 26 Vol. IV of The Cambridge History of Iran (1975). Awarded in 2008 to Mohammad-Reza Shafi`i-Kadkani, and Mansoureh Ettehadieh, distinguished scholars residing and working in Iran and Nikki Keddie distinguished scholar residing and working outside Iran. Mary Hegland, Janet Afary, and Michael Beard served on the award committee. 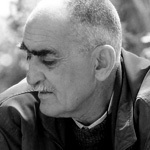 Mohammad-Reza Shafi‘i-Kadkani (b. 1938) has been at the center of the teaching and researching of Persian literature in Iran for over forty years. He earned his Ph.D. in Persian Literature from Tehran University and has been teaching at his alma mater since 1969. Author of a great number and variety of scholarly works, he has contributed enormously to the advancement of contemporary literary criticism in Iran, Afghanistan, and Tajikistan. He has helped shape the perceptions of at least two generations of scholars, teachers and general readers throughout Western Asia, the Middle East and beyond. As a poet, he integrates the best of the classical aesthetic tradition into modern and contemporary trends in Persian poetry. He has, almost single-handedly, brought about a much-needed rapprochement between the old and the new in Persian literature, both at the creative level and at the level of interpretation. He published his fourth volume of poetry, titled Dar Kuchah Baghha-yi Nayshabur (In the Garden Alleys of Neishbur) in 1969. 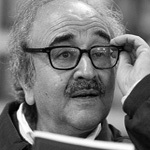 Since then he has steadily held his reputation as a leading voice in modernist Persian poetry. 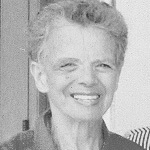 Mansoureh Ettehadieh obtained her PhD in History from Edinburgh University in 1979 and taught history at Tehran University from 1963 to 2000. She founded the publishing firm Nashr-e Tarikh-e Iran in 1983, which specializes in the history of the Qatar period. She is currently engaged in working on public opinion from 1870 to 1920. In addition to two novels, Dr. Ettehadieh has written and co-edited a good number of works including Parliament and Elections from the Constitutional Revolution to the end of the Qajar period; The Correspondence and documents of Nosrat al-Dowleh Firuz; A Collections of Essays on the Social and Economic Conditions of Tehran, 1850 -1925; The Origin and Development of Political Parties during the Constitutional Revolution; and The life and the correspondence of Reza Qoli Khan Nezam al-Saltaneh. Presented to Professor Nikki R. Keddie at the 2010 Biennial in Santa Monica. Dr Keddie (b. 1930) has taught in diverse fields and disciplines, but her main focus is on Middle Eastern and Iranian history. She has made use of oral history in the teaching and research of History and has photographed people from all over the world. She is the author of numerous books and articles and the recipient of major fellowships. She founded and edited the journal Contention: Debates in Society, Culture and Science from 1991-96. A woman of diverse interests and talents, Dr. Keddie has contributed to Iranian Studies not only as an eminent researcher and scholar, but as a teacher and mentor to a host of students who have followed her lead into the field of Iranian Studies. Iraj Afshar distinguished scholar residing and working in Iran and Ehsan Yarshater distinguished scholar residing and working outside of Iran. Presented to Professor Emeritus of Tehran University at the AIS Biennial in London, summer of 2006. For over a half a century Iraj Afshar (1925-2011) labored to construct a foundation for Iranian Studies scholarship. Through his efforts to locate, compile, catalogue, critique, publish, and write the histories of thousands of manuscripts, documents, writings, artefacts, persons, libraries, and resources, he facilitated the work of generations of Iranian Studies scholars. The breadth of scholarship is astounding, and scholarly output, prodigious. His sons printed a bibliography of his scholarly publications in 2003, with an addendum in 2004. Ahmad Ashraf, Mary Elaine Hegland, and Homa Katouzian served on the 2006 committee. Presented to Hagop Kevorkian Emeritus Professor of Iranian Studies and Editor of Encyclopaedia Iranica, Ehsan Yarshater at the 2008 Biennial in Toronto, Canada. 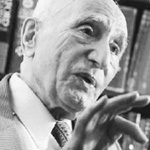 Dr. Ehsan Yarshater (b. 1920) has devoted a life-time to facilitating the work of other Iranian Studies scholars, through gathering, compiling, editing, and publishing materials. Through his scholarship, editing, and teaching, he has made significant contributions to a variety of fields in Iranian Studies. Dr. Yarshater served as chief editor of Bongah-e Tarjomeh va Nashr-e Ketab for many years. He produced many books and numerous articles and continues important work as Encyclopaedia Iranica’s Editor while also editing and contributing to a ten volume history of Persian literature. Ali Banuazizi, Mary Elaine Hegland, and Sholeh Quinn served on this award committee.